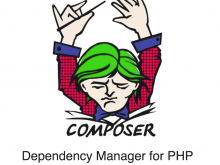 It is one of the most frequent task you might do while working on vim. It would do the usual task but this time it would ask for confirmation before it changes it. You can do search and replace in vi or vim using the above command being on vim. Don’t forget to be out of the update mode otherwise you would just be writing the above commands. Starting to play with the mac numbers app that comes with my mac, and after doing my spreadsheet, pretty much the same as excel so far, i want to share it and the standard being xls file, I figured how to do that. Go to file menu on the number application and select the export to => Excel. The rest is history after that.. I like how neat the number app is so far, I will try to see how it is flexing its muscles over the giant excel as I have a lot to do on that..
By the way, I have been a great fan of apaches open office just check it out. 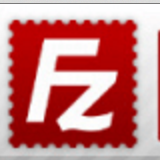 Yeah, FileZilla, the major FTP software would put the passwords along with your username, host and other info in your computer directory. So if you lost your FTP credentials and you have been using FileZilla, you can simply retrieve or assist you remember it. Just go ahead and open options menu from FileZilla, on Mac computer, you can get this by clicking on the FileZilla menu, and look for settings directory and there you would get xml files containing your credentials. You can grab and use it. In the meantime, if your computer is accessed by others, also know that they can access your FTP information from there. Hey, did you end up having an app that won’t be added to the launchpad, aka applications on mac? The example could be Filezilla. When you download and try to launch it by double clicking it will start but you might not get it on the applications folder and you won’t see it in the lauchpad. The fix? it is way easier that you think. Just copy the app you want to be added, say the Filezilla, and just paste it in the Applications folder. You can access the applications folder by directly going to Finder. I will not explain how useful vim is, if you a developer on the *nix systems, then that is number one tool to tuck into your toolbox. Now you want to paste huge text into vim and it looks all wacky, and the insert mode is not handling it.. here is what you would do.. Which, as you can see, is commented. Hence uncomment that by deleting the # infront of it. The above task will allow us to mess around the httpd-vhosts.conf file that is in the extras directory. And the we will have the same duplicate values for the other one as well. This shall take care of the whole thing.